Claim "200 Hour Yoga Teacher Training Course in Nepal"
The beautiful country of Nepal is located in the foothills of the Himalayas. The nation is blessed with some of the world’s most ancient temples and spiritual sites. Gautam Buddha, the eternal Yogi took birth on this magnificent land which has been the center of yogic civilization since ages. The Buddhist culture of the country welcomes every guest with open arms. Rishikul Yogshala invites you to the 200 Hour Yoga Teacher Training in Nepal to take the first serious step towards the ancient art. • Learn about the various asanas and series of Hatha Yoga and Ashtanga Yoga. • Theoretical teachings of the spiritual science and the art of applying Yoga in life. • Practice and training of the Breathing Series and Pranayama to channelize the life force through the organs of the body. • Enhancement in the practice with Adjustment and Alignment. • A huge emphasis on the art of Meditation and the unification of the mind and body with the soul. • Learn about the science of Healing, Ayurveda and the benefits attached to it. • Get acquainted with the structural framework of the Human body with respect to Yoga. • Shat Kriyas therapy of internal cleansing and the art of Mantras utterance for soulful benefits. • Self-practice and workshops on attaining the Yoga Teacher qualities. • Understand the importance of laughter and recreation during Laughter Yoga sessions. • Field visits and excursions to the local sites of interest in Pokhara. Food and Accommodation: Nepal is known for its fertile terrains that grow a number of crops, fruits, and vegetables. Utmost quality of meals constituting green vegetables and vegetarian food is offered three times a day. The meals are extensively sattvic in nature promising a delicious taste. The ashram in Nepal overlooks the spellbinding scenery of the Annapurna ranges and amazing lake. The rooms are large in size and accommodated with comfortable beds and other facilities. About Rishikul Yogshala: A global leader of traditional Yoga, Rishikul Yogshala is a known for its commitment towards spreading the classical forms of Yoga around the globe. 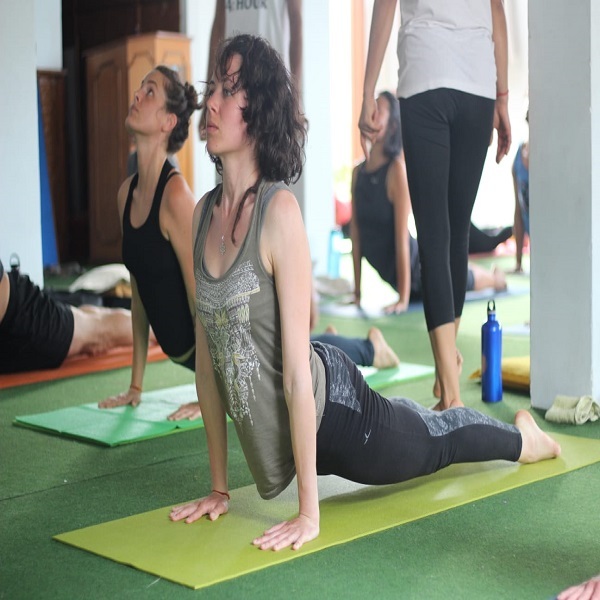 Across its branches in six countries- India, Iran, Vietnam, Thailand, Nepal, and Mozambique, the Rishikesh-headquartered school conducts various programs like Yoga TTC, Yoga Retreat, and many more.